For many people, there’s nothing quite so relaxing as taking time after a busy day or week to sit out on a deck with a drink, viewing the peaceful natural surrounds. 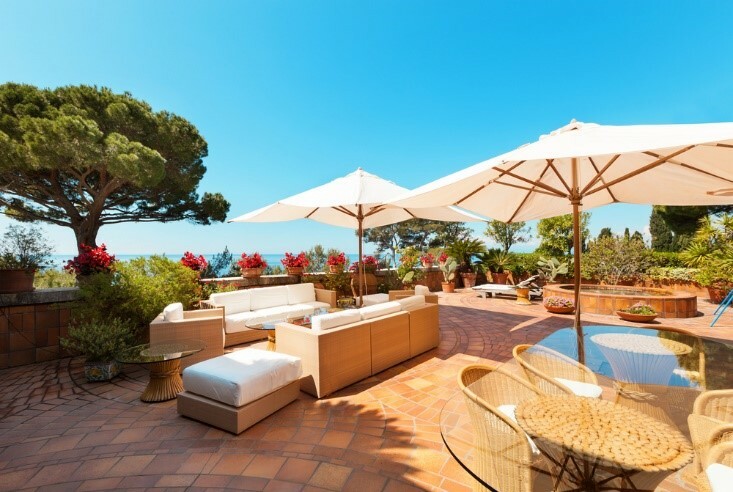 However, if you’re like many of the time-poor professionals and parents out there who can barely find any time to stop for a well-deserved glass of wine, let along to maintain a garden, getting this result probably feels almost impossible. Happily, though, there are some ways you can go about getting the kind of yard you want without spending hour upon hour on upkeep each week. Read on for some handy tips you can follow this year. One of the best ways to get a low-maintenance garden is to do careful planning in advance, so you get the results you’re after. For example, you might want to minimize the amount of lawn you have, so there is less to be looked after, and you may want to keep the number of plants in your yard to a certain number, so you don’t have to spend so long watering and doing other tasks. You may choose, for instance, to concentrate on having just a few simple container garden items set up near your door, such as those containing herbs or vegetables, so you can duck out to water these easily at night. Planters are also helpful in that they can often hold a decent amount of water, so you don’t have to remember to give them moisture constantly. You might also want to utilize space in a way that means you stack or hang pots, so it’s quicker and easier to water and maintain them. Another tip when planning is to think about putting in a variety of plants which complement each other. When you have multiple species in a garden bed, this is more like the patterns found in nature. It’s wise, too, to plant species in your garden which support each other to grow. For example, some act as natural barriers against pests, and protect nearby plants which are more vulnerable; while larger, taller plants can provide shade for smaller “friends” nearby. Like with any area of life, being organized in the yard will help you to be more productive. For example, since gardening maintenance is rather like housework and can pile up quickly if you don’t keep on top of it, it pays to spend just a little bit of time, such as 15 minutes per day, attending to tasks. This will make it less likely that things will get out of control and become unmanageable. You should also keep your gardening tools, such as gloves, shears, weeding implements, watering can and the like cleaned, organized and near your door, so you don’t have to go searching for things when you want to use them. Plus, consider outsourcing your lawn care services and gardening to professionals in your area. Specialists in this field can handle tasks you don’t have the time to do yourself, such as mowing, weeding, fertilizing, aeration, watering and so on. Another way to take care of your plants and at the same time cut back on maintenance is to utilize mulch in your gardens. Putting this kind of organic material in each bed will reduce the plants’ requirements for weeding, fertilizing and watering and also help to insulate the soil. Mulch works to prohibit soil temperatures from fluctuating hugely during the year, which in turn enables plants to become stronger. There are numerous things you can use for mulch in your garden. Some of the most popular include fall leaves, fresh lawn clippings, straw, gravel and compost. Spread a decent layer of mulch around each garden bed and top it up over time as required. Of course, you will cut back on the time you need to spend watering if you add watering systems to your yard. This way, you’ll have lovely healthy, green lawns and happy, growing plants without having to spend hours on the job each week. 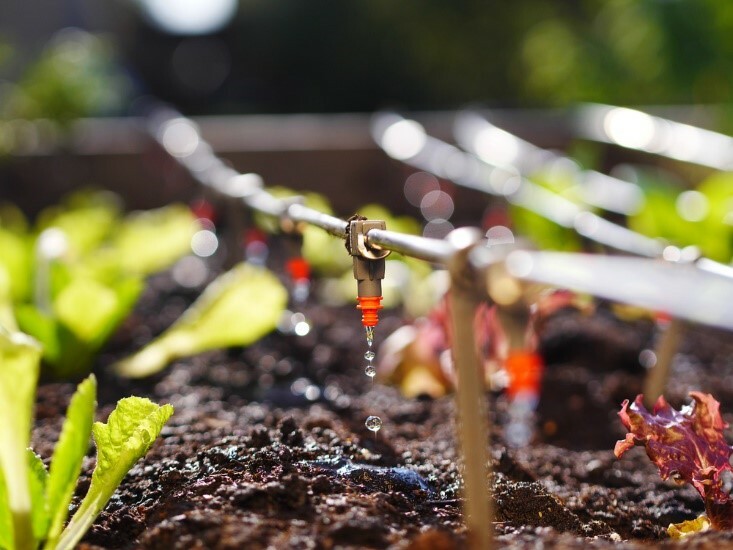 Automated watering systems can be set up to feed a slow, steady flow of water straight to the root zones of plants (be on the lookout for soaker hoses for this), or they can spray water over a wide area of yard at a time (sprinklers).